Departure from our dependence on fossil resources requires creation of bioproducts essential to our lives through innovative methods. Using genomic analysis data that are increasing exponentially as well as synthetic biology, genome engineering, and data science, the Metabolic Genome Engineering project will artificially maximize capacities of plants and microorganisms for chemical synthesis in developing and configuring sustainable production systems. 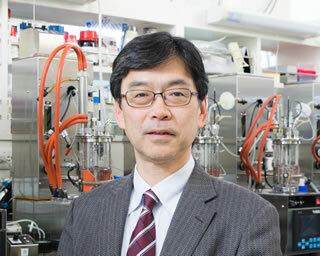 The project will promote the synthesis of useful substances from plants and microorganisms by taking on the challenge of developing smart organisms through designing metabolic pathways from the interactions of multiple cells, creating advanced forms of breeding of plants and microorganisms that make up the production systems, and synthesizing compounds that had been difficult to develop using existing chemical synthesis. 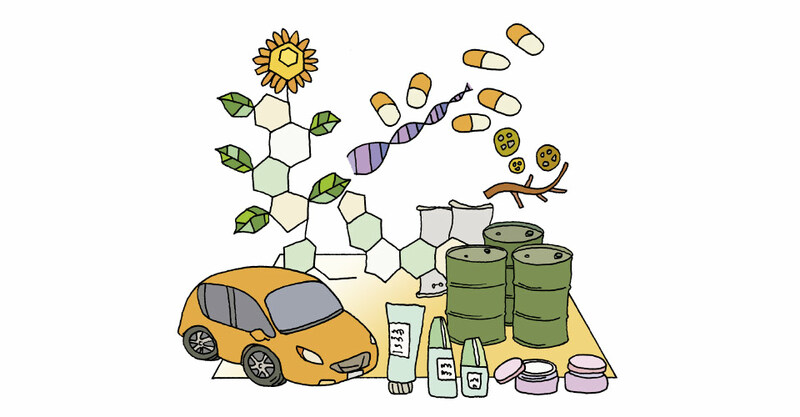 There are many potential targets, including raw materials for the chemical industry, functional foods, drugs, and raw materials for cosmetics. Development of the technology base and partnership with the industry is expected to bring about further advances in this field. The humankind has exploited fossil resources produced by plants in the ancient times to provide greater convenience in our lives. Fossil resources, however, are expected to be depleted in a few decades, and it will be up to us to create the resources necessary for human survival. The ultimate goal will be to depart from our dependence on fossil resources by designing entire life forms. Beyond microorganisms and plants, we envision eventually expanding our scope of research into aquatic organisms and the natural environment. While returning some of the benefits to the plant kingdom, we hope to engage in this far-reaching research and produce results.